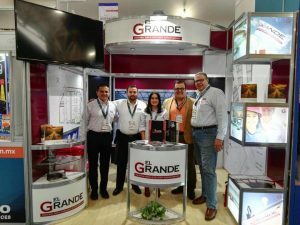 El Grande Group has rapidly established itself as the top strategic international business partner and promoter of foreign investment in Mexico. What foreign investors are discovering is that Mexico has not only become a premier manufacturing country – especially in the automotive and aerospace clusters – but is an emerging market as well. That’s where our unique services come in. We offer flexible programs tailored to meet your specific needs and to help you build long-term business relationships with foreign companies. Not only can we house your manufacturing company in our state-of-the-art industrial park but we offer a bevy of options and support that can include administrative functions, human resources, accounting and tax services, fiscal reporting and legal compliance, operations management, customs and logistics, and much more. El Grande strives to offer top-tier personalized care and custom business support systems that cannot be matched by anyone else. As the first Bajio-Celaya industrial and business park offering Intelligent Support Services, our dedication and commitment to our clients, employees, and community guarantees mutual success for all parties involved. We are El Grande. Your team. Your partner. Your dedicated support in Mexico. As you grow, we want to be a part of that growth. Our organization’s first priority is satisfying client manufacturing needs promptly and efficiently. We seek to provide the best possible experiences and business advantages by supporting clients throughout the entire process, from pre-startup and on to graduation opportunities. 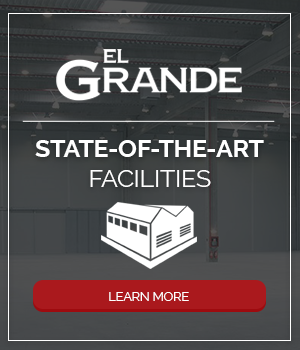 Our personalized configuration of services can help you achieve your goals, so whether you need a turnkey manufacturing facility or require assistance with finances, growth, consultation, strategy, and legal advisory, El Grande has you covered. 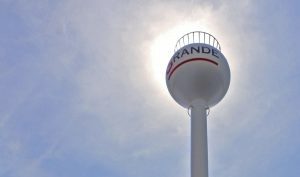 El Grande is committed to excellence and providing high-quality manufacturing and business services that go beyond our clients’ expectations. We believe in the power of hard work and take great pride in supporting small and mid-sized companies as they grow to become world-class manufacturers. El Grande is characterized by the integrity of our actions, integrity of our dealings with our clients, and a commitment to the agreement of our daily business interactions. We understand the challenges that can arise when attempting to develop a business in a foreign zone, that is why we provide zero capex services to reduce your risks. Our business is our clients and their trust in our ability to provide unprecedented guidance is of utmost value to us. In partnership with our clients, we identify, develop and deploy leading-edge technology, employee development programs, and process improvement tools. We listen and endeavor to bring solid solutions to the table—every day. We know the principal engine behind any company’s success is their workforce. At El Grande, we have brought together a team with over 50 years of combined experience in international business, manufacturing, entrepreneurship, investment banking, international law, sales, business development, marketing, and foreign affairs. Our team remains focused on further developing their skill set in order to provide first-class services. The combined international business experience of El Grande’s owners and management team is the key to our clients’ success in growing as a manufacturing company and enhancing profits. Your company is at the center of El Grande’s vision. Our philosophy, our manufacturing solutions, and business systems are all designed to help you grow and increase your profit. We know manufacturing in Mexico and we are ready to share our international business management expertise with you. Our operations system is designed to improve your technical processes so that you can efficiently create your products and get them out to your clients as soon as needed. Plus, we have built solid relationships with a number of Tier 1 businesses which means market opportunities for your company. We own and maintain the entire industrial park so you get help exactly when you need it. We can help to get you ISO/TS certified. We set up the display chain for you. We offer companies an economy of scale and efficiency that cannot be matched. We look out for your best interests. Your success is our business. We provide you the platform to ensure all legal business requirements, fees, and taxes are met. We can provide sales leads. We have the right team that can turn your manufacturing company into an international success.